I am proud to announce that I’ve been accepted as a member into the Oil Pastel Society at the Professional Artist level. The Oil Pastel Society is an active international organization of artists seeking to further the advancement of oil pastels as a fine art medium. The Professional oil pastel artist is one who has reached a high level of expertise with the medium. This is a juried category. The Oil Pastel Society was formed on September 1, 2004, to promote the knowledge and understanding of oil pastel as a fine art medium and to expand the awareness of oil pastel to other artists, galleries, the media, and the general public. Thru the internet, the Society reaches an international community of artists who share their art and inspire one another in furthering oil pastel as a fine art medium. The aim of the society is to offer oil pastelists an opportunity to band together focusing on oil pastels as a serious fine art medium, providing galleries for members to showcase their artwork and participate in a members’ only online show each year. To learn more about the organization, I invite you to visit the website by following this link: Oil Pastel Society. 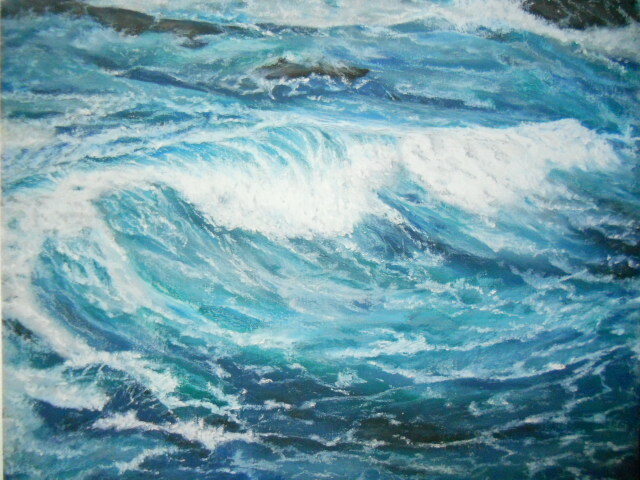 This entry was posted in About Oil Pastels, OPs Bits and Pieces and tagged fine art, Oil Pastel Society, oil pastels. Bookmark the permalink. Woo Hooo !!! Time to do the victory dance Mary. Am I surprised…NOPE ! Should have happened sooner. Congratulations. Thank you so much! It means a lot to be accepted by this organization – the members display incredible talent, I’m thrilled to be a part of the group. Yeah – one more goal accomplished. Thank you! I was very excited when I found out. Congratulations Mary – I think it’s wonderful. Thank you Don so much, I appreciate your note. Congratulations, Mary. You must be on cloud nine. It’s wonderful to hear from you again Ariel’s Prospero! Thank you for your congrats – time to get painting again. I’m not one bit surprised! Congrats! Thank you Lisa – means a lot, appreciate your encouragement! Thanks so much – I really appreciate it!! That is awesome! Congratulations! Such an achievement. Thanks Patricia – I appreciate it!! So, so happy for you! I love your work, and I’m glad you are receiving recognition for it! Thanks Cyndi – appreciate your support and encouragement! Thank you so much Poppy! One never knows, so I was nervous and then relieved that I received this nod – appreciate your comments! Thank you! I was anxious awaiting word – thanks so much! Thank you Calee, I appreciate your good wishes! Thank you Petronette, means a lot! Mary, not a surprise, well done and well deserved. What a wonderful accomplishment, Mary, congratulations!